Detect flaws in your products before they hit the market. 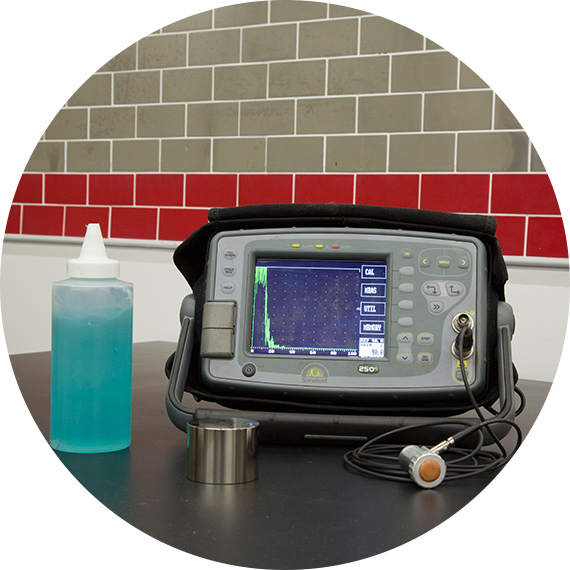 Our ultrasonic testing makes it possible, without destroying your material. Most metallurgical testing requires your material to be destroyed. At Titan Metallurgy, we’re pleased to offer a variety of non-destructive tests that allow us to analyze your material and provide you with a test report, without sacrificing the material. This testing is also commonly used as the starting point for most failure analyses.